Ive been checking your minecraft pictures - you really are getting into it. Does the game do anything other than allow you to build? I read a bit somewhere else about how a lot of people were playing it. The only game I'm a bit addicted to is Ikariam which I play a lot more than I should. I am one of the top players in the top aliance on one of the Ikariam worlds and occassionally we have large scale alliance wars which are realy good. I have to limit myslef though or I would spend far too much time playing it. Sounds like Minecaraft is like that for you. @ Bunc: The game is all about building and exploration. There is no set objective. How do you get to minecraft? 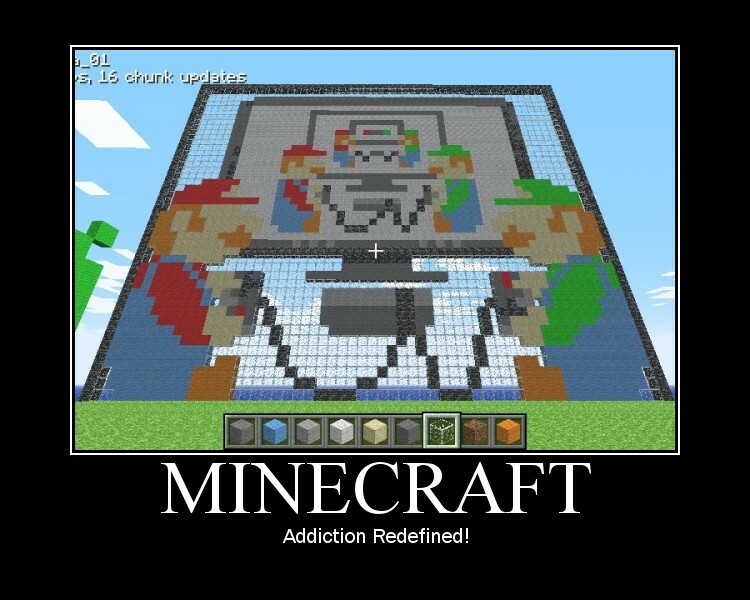 @ fireheart126: minecraft.net. If you want the version I'm playing, it will cost 9.95 euro.